Considering adoption? Here's what you need to know about the process, from application to finalisation. Almost 2 million children living in SA today are orphans. This gut-wrenching reality puts into clear perspective just how crucial adoption really is. World Adoption Day is commemorated on 9 November each year, raising awareness around the immeasurable impact of this life-changing legal process. However, in South Africa an alarming amount of cases have been observed where the adoption process is not always properly conducted. “We have seen examples on social media of desperate mothers advertising children for ‘adoption’, or unregistered and unaccredited baby homes ‘selling’ children to unknowing parents,” says Katinka Pieterse of the National Adoption Coalition of South Africa (NACSA). Prospective adoptive parents must apply via an accredited adoption agency. You can find one via the NACSA website or the Parent24 adoption page. Once you’ve found a suitable agency speak to them about the specific details required when making an application. The orientation process usually involves meetings and interviews with a social worker, home visits, full medical check-ups, police clearance, assessments, and references. Based on their findings during the orientation process, the agency uses the details gathered to determine whether the prospective adoptive parents are suitable. During this step, parents will be asked to motivate their reasons for adopting and prove they’ll be able to provide a good home for a child. During this step the potential parents submit details on preferred age and gender of the child they’d like to adopt. The adoption agency uses the information submitted to match the parents with a child. Once found, the child is introduced to the prospective parents. This period may be brief or lengthy depending on the child’s age. 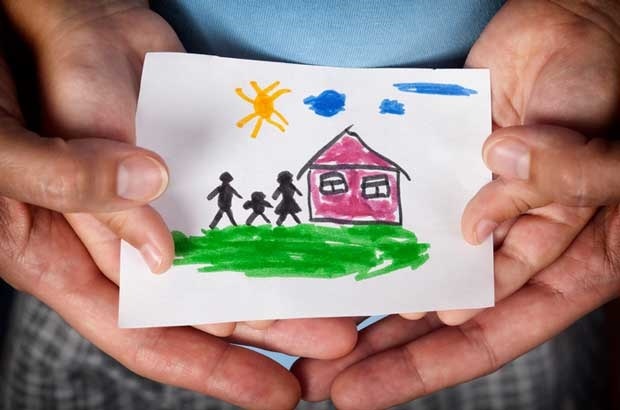 Placement of the child with the adoptive parents is conducted through the Children’s Court, and after a period, is followed up with a final home visit from the social worker. The social worker uses the home visit to determine whether the adoption is in the child’s best interest and the adoption is finalised via the Children’s Court. For more information on the legal process of adoption visit www.adoption.org.za. Do you have an incredible adoption story to share with us? Email your letter to chatback@parent.com and we could publish them. Do let us know if you'd like to stay anonymous.